We ensure safety in risky environments. We are ISO certified according to ISO-9001:2015 and ISO-14001:2015. 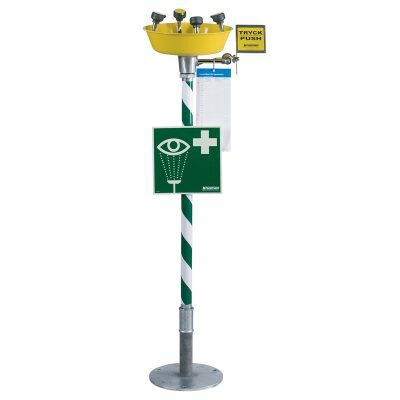 We have stock of emergency safety showers and eyewashes locally in UAE, Dubai. Please contact us or our distributor in the Middle East for more information. On the "Contact us page" you will find contact details. Read more about regulations for your emergency equipment in EU standard EN 15154-1, 2, 3, 4 and American standard ISEA/ANSI Z358.1 here. 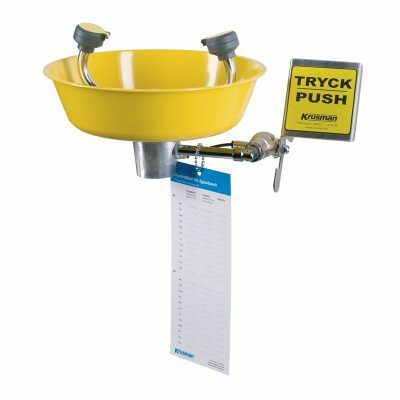 Important information when installing your safety Equipment. 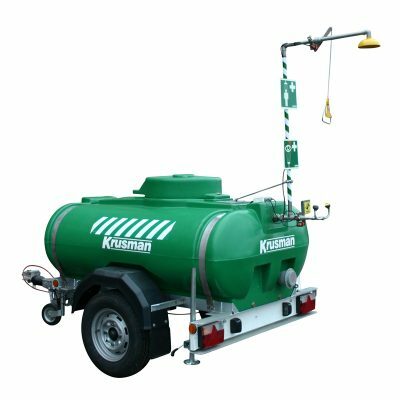 Krusman Emergency Showers is a manufacturer and supplier of emergency showers and eyewashes. 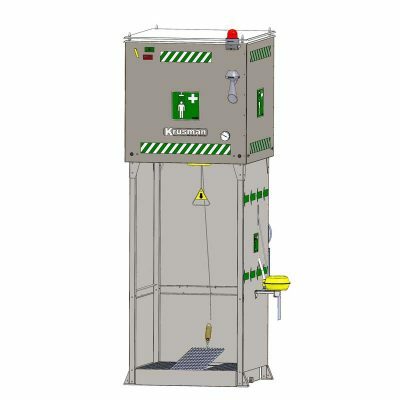 We share our knowledge about equipment and regulations with our customers and provide them with risk measurements. 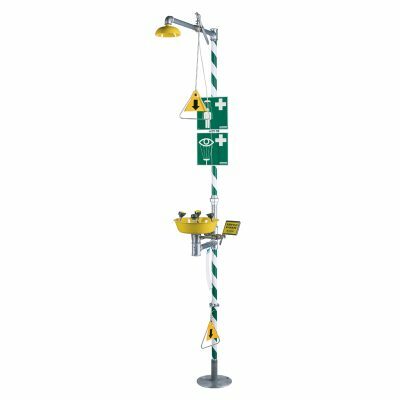 Emergency safety showers and eyewashes are vital in the processing industry, chemical and food industry as well as refineries. We offer eye and face washes, eyebaths, emergency safety showers, safety stations, tank showers, freeze-resistant showers and decontamination showers. Read more about our tank showers here, we have three models. We manufacture customized water and cooling tank systems to face water supply difficulties encountered in many situations. All our products comply with ANSI Norm Z 358.1-latest edition and EN 15154-1, 2, 3 and 4:latest editions. Our products and solutions comply with latest directives. They shall meet demands and needs set by the customer. Through honesty, long lasting relations are created. This is the kind of quality which creates security. We share our knowledge about risk actions and regulations set on the equipment and routines, with the main objective to save lives. We convey knowledge which create security. Every customer and environment has specific needs and the feeling of security is personal. We will listen, understand and act with flexibility and supply our products in line with those needs. A service and a sensitivity creating security.